We don’t often get political here on BWC, but time and experience has taught us that there’s not a lot that you can’t link back to relationships. 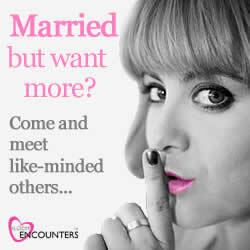 And, evidently, IllicitEncounters.com, a UK dating website for married people, are on the same wavelength. Once you sieve through the PR and minutiae of every precisely worded statement, the Budget could lead more people to cheat (so say the aforementioned website). While the increased investment in transport links and potentially longer school day are sure to have a great socioeconomic impact either way, an extra hour in the day for a lonely housewife to sneak out or a quicker way to travel up and down the country will only ease the time and mobility of an adulterer.